1. First, login into your Yahoo! Mail account. 2. Then click on Options and select Mail Options. In the Mail Options menu, click on POP & Forwarding. You’ll see that you need to upgrade to Yahoo! Plus to get the POP and forwarding option. 3. Click on your username, and select Account. 4. In the Account Info page, go to the Account Settings section and click on Set language, site, time zone. 5. Next, select a Regional Site and Language and Time Zone. Select Yahoo! Asia and change the time zone to China (just to be safe). Then click I Accept. 6. Once you finish, logout from your Yahoo! account and close all browser windows. Reopen your browser, and login into Yahoo! Mail. 7. Go back to the Mail Options page (refer to step 2) and click on POP & Forwarding. Now you’ll see that you have the POP & Forwarding option enabled! 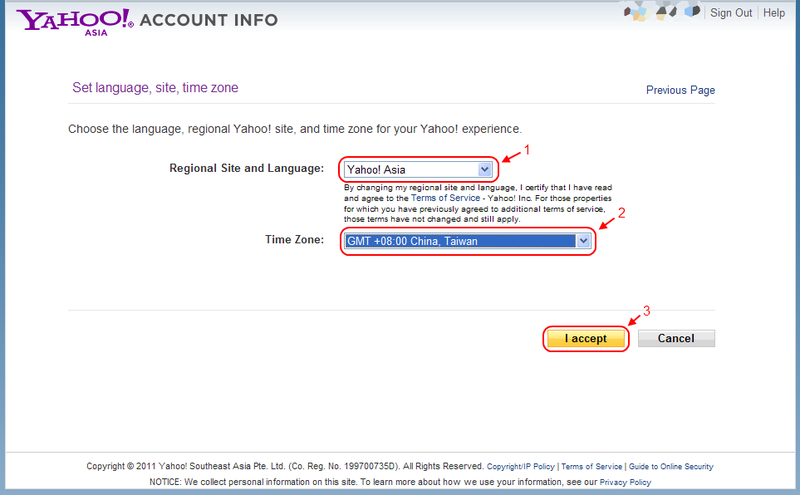 Remember to select “Allow your Yahoo! Mail to be POPed” and save the changes! Follow my guide here on how to setup Yahoo mail in Microsoft Outlook 2007! Remember to check this guide too before using the POP3 in Outlook. * The screen might change from time to time, so the screen shot here might not be the same by the time you are reading this. And I can’t guarantee that this will work for everyone! 2. Then click on OPtions and select Mail Options. In the Options menu, click on POP & Forwarding. You’ll see that you need to upgrade to Yahho! Plus to get the POP and forwarding option. 5. Next, select a Regional Site and Language and Time Zone. Select Yahoo! Asia and change the time zone (just to be safe). Then click I Accept. 7. 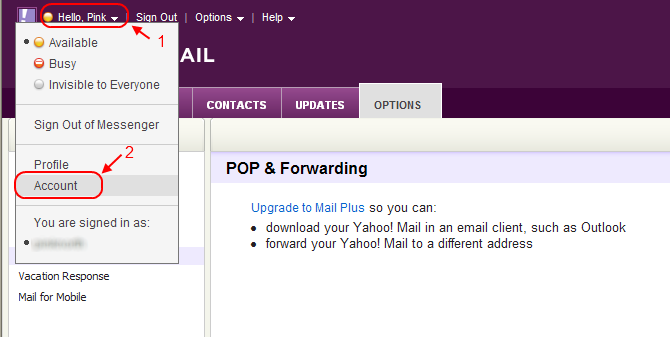 Go back to the Mail Options page (refer to step 2) and click on POP & Forwarding. Now you’ll see that you have the POP and Forwarding option enabled! 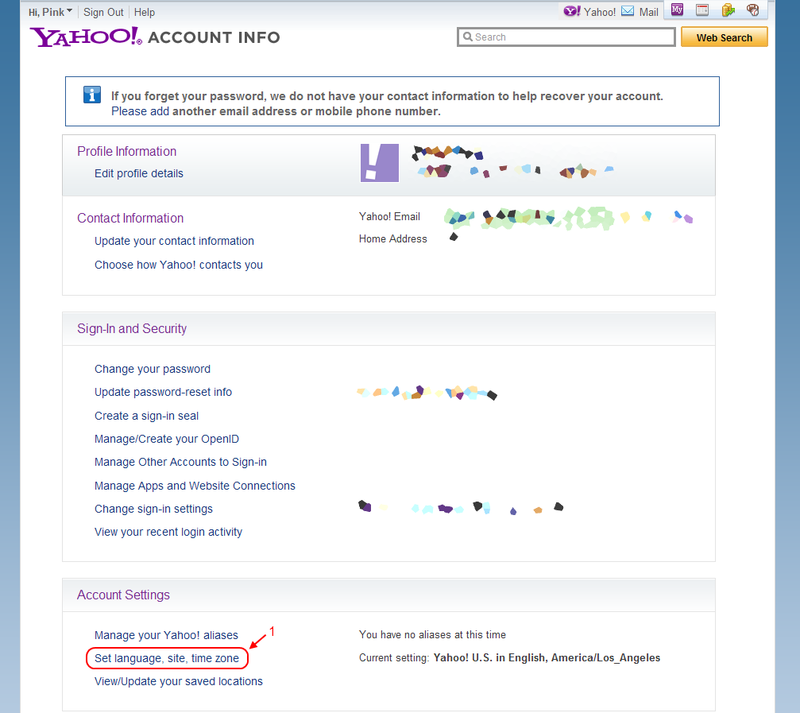 Remember to select “Allow your Yahoo! Mail to be POPed” and save the changes! 8. Voila! Now you can use POP3 with your Yahoo! Mail account! Follow my guide here on how to setup Yahoo mail in Microsoft Outlook 2007! This entry was posted in Guide and tagged email, email client, pop, pop3, yahoo, yahoo mail. Bookmark the permalink. It worked for me! Thanks!! That’s ok. I figured out that IMAP is provided for free, and you don’t have to do anything to enable it. can you guide me how can i config yahoo mail to my outlook .. I don’t use Outlook, so I can’t give you a step-by-step, but I can tell you what settings you need to use. You’ll set it up to use an IMAP account. The server address will be imap.mail.yahoo.com, port 993, with SSL. The username is your Yahoo! 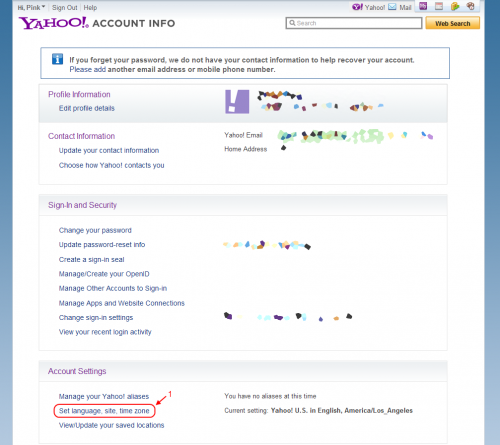 username (without @yahoo.com), and the password is just your Yahoo! password. IMAP will only let you receive email. I don’t know if you can send email, since I don’t need that. But you could try setting up sending email with SMTP using mostly the same settings I just gave you but probably the server address would be smtp.mail.yahoo.com, and it might be a different port. I have no idea, though. gmail is providing that for free, at least yahoo should provide that info when you access the yahoo help, they are mute like fish about it. I know that it was a while ago when it was available also for the free accounts, seems like they turned back to be cheap as usual. Serve them right what Mark Cuban did to them. I can not chose ”Yahoo!Asia” because there is not this options and I guess that is why at the end I do not have ”POP & Forwarding option”. Can somebody help me, please? Read through the other comments. It doesn’t work anymore. You can use Yahoo’s IMAP server, though. It’s free, and you don’t have to set anything up in Yahoo. I subscribed to Yahoo Mail Plus. The account status shows active. Yet I’m not able activate the service. There is no button to push! Is it me or is it Yahoo that’s failed to provide adequate service? enable this server require …..
my outgoing server (smpt) require …..
use same setting as my …. Enjoy the free browsing and wish peace for all the mankind. Want to enable the POP3 setting in Yahoo account?